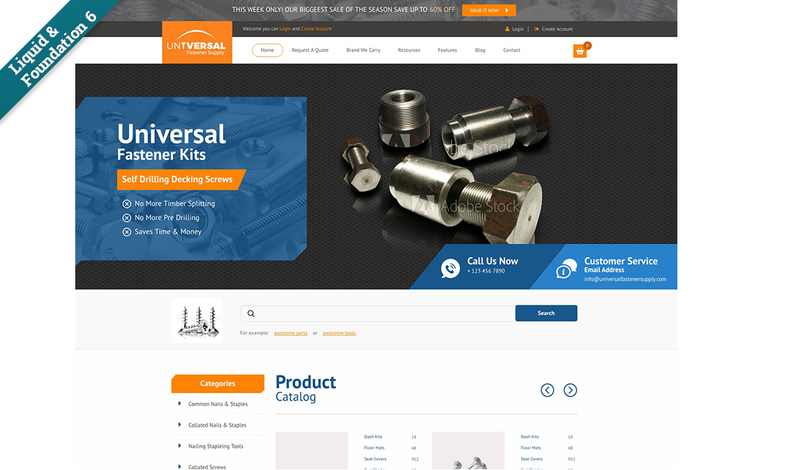 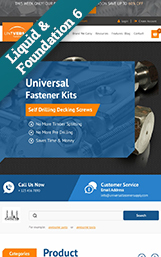 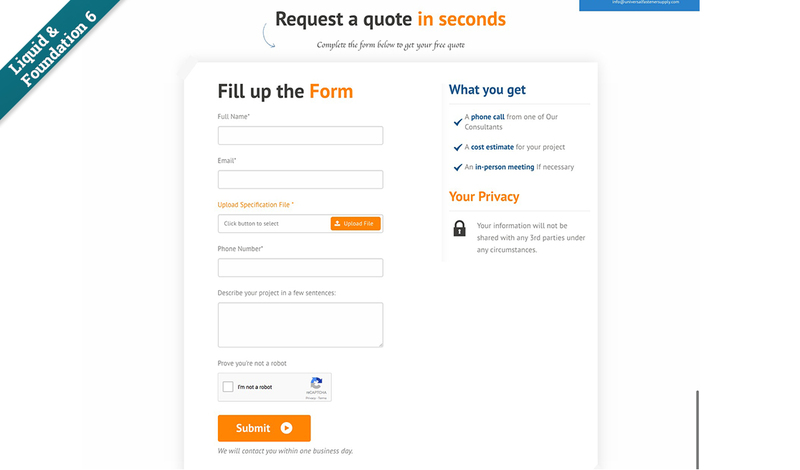 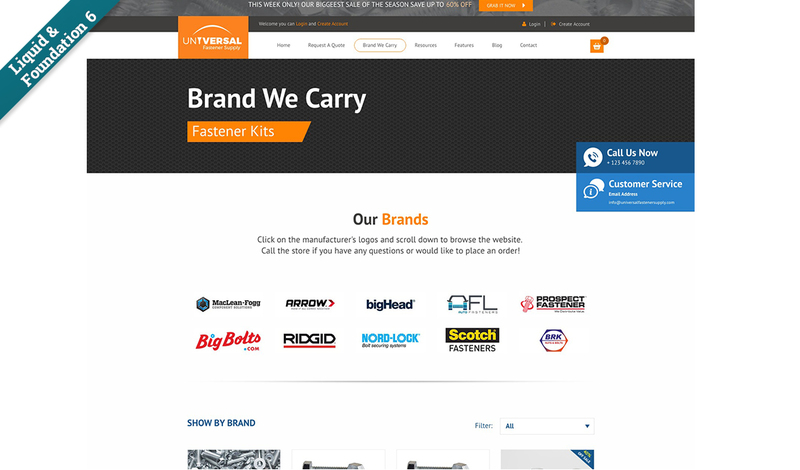 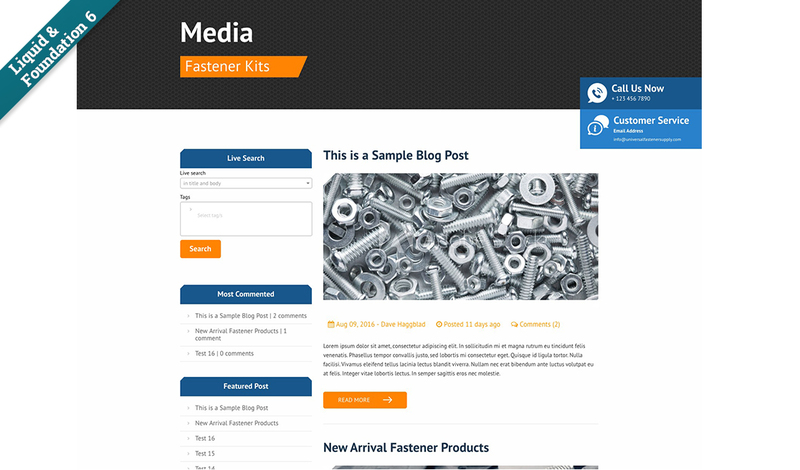 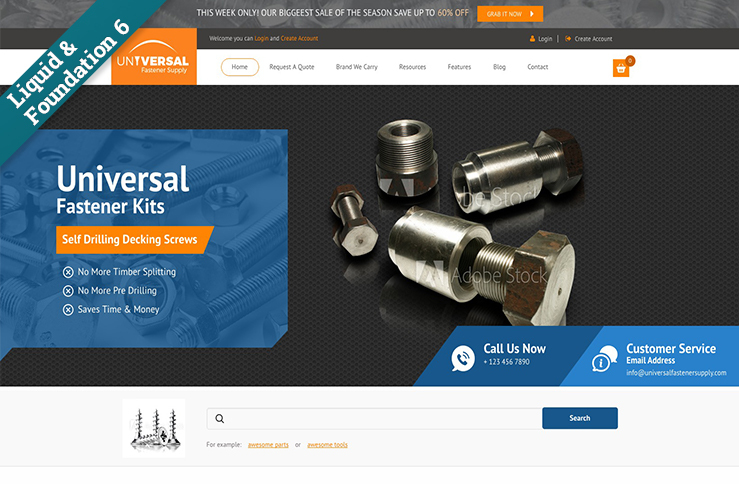 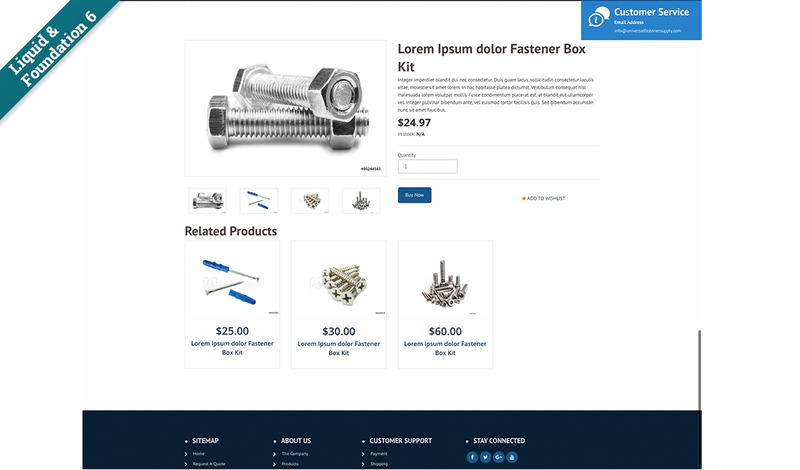 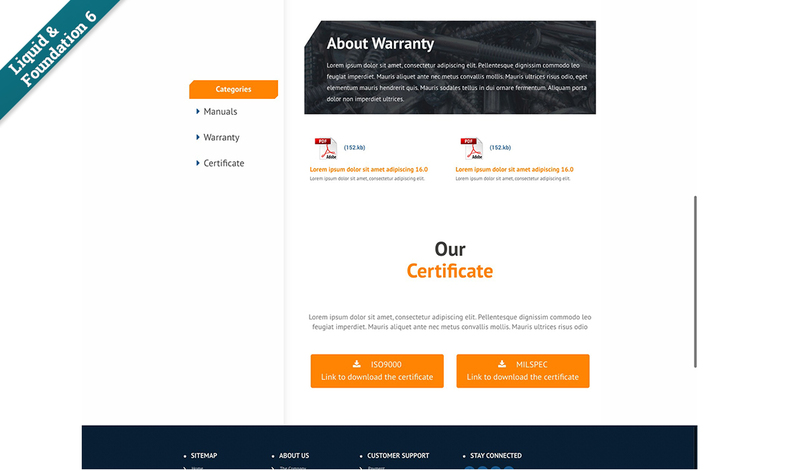 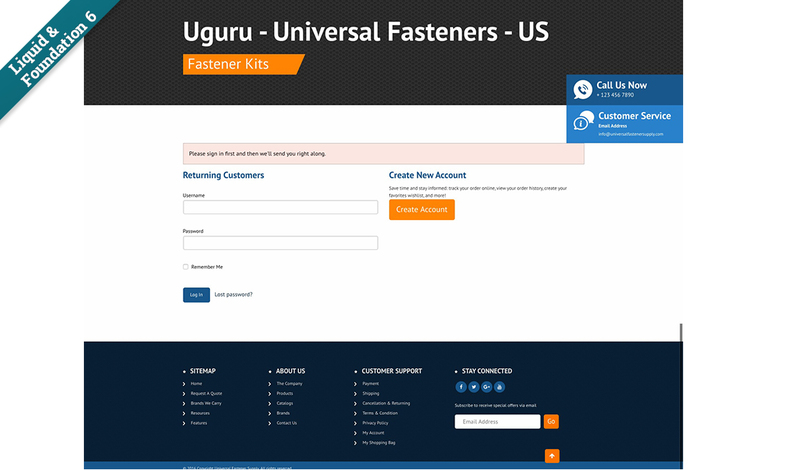 The Universal Fastener Supply template is an ecommerce and Business to Business focussed template that provides a number of sections to present your client's products to their customers. 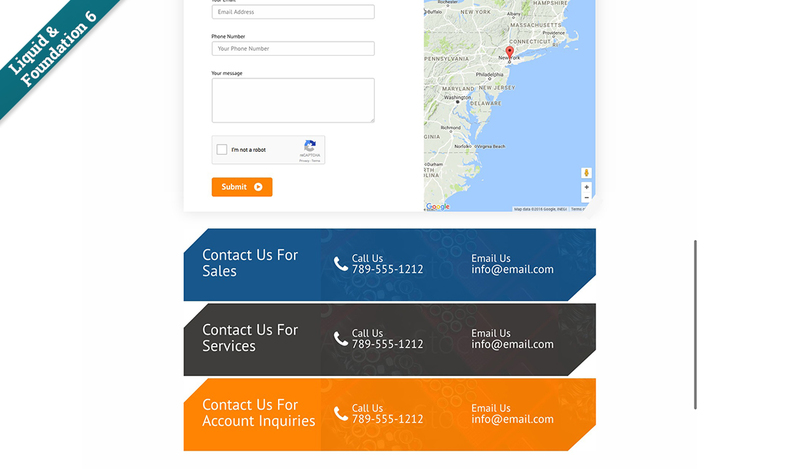 Keep the sections you want, remove the ones you don’t or move sections around to other pages if that makes more sense for your client. 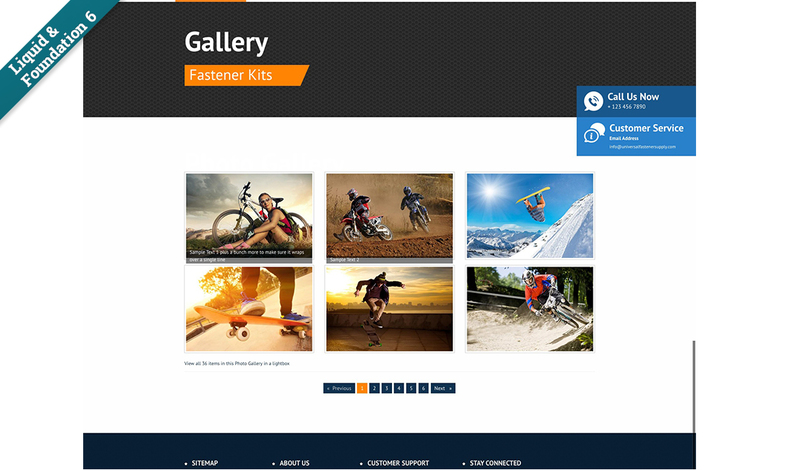 8 Photoshop files, fonts and stock images are included in the Resources folder. 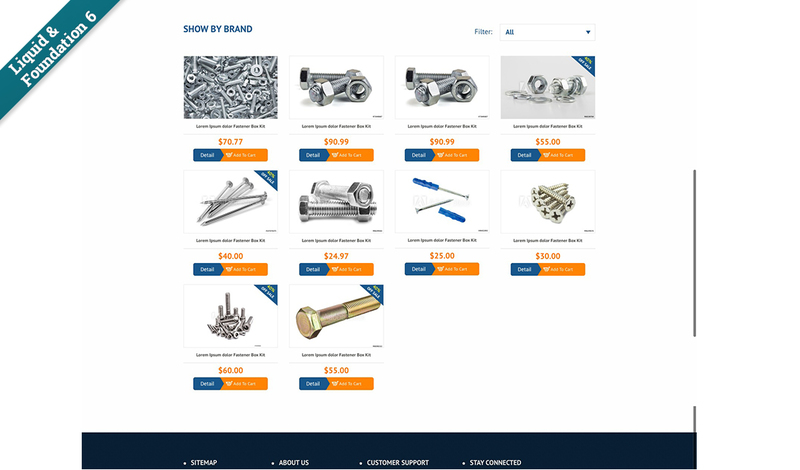 The Deal of the Week, Our Brands and Product Catalog (home page) sections are web app driven, making it easy for you and your client to quickly add and update content.